Bethesda recently announced that they would be releasing Fallout 4, their first major game since 2011’s The Elder Scrolls V: Skyrim. 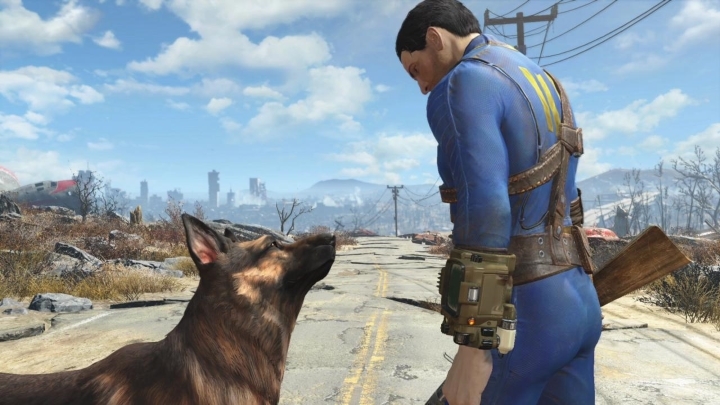 The game’s reveal trailer, which you can watch below, shows a dog (the trusty German Shepherd known as ‘Dogmeat’ in the previous game) wandering around a house in ruins, and it also confirms that the game will be set in a post-apocalyptic Boston, as at one point in the trailer one of the city’s best-known monuments, the equestrian statue of Paul Revere, can be seen. While it is true that the visuals in the trailer are not cutting edge (the character models are a bit lacklustre, to be honest), Bethesda might have an ace up its sleeve here. It is clear that this is a developer that is fond of surprising gamers, as they proved with their earlier game Skyrim in 2011. Skyrim’s announcement came out of the blue in early 2011, without even the slightest hint from Bethesda. And the game ended up being one of the best-looking games of the year, despite the fact that early previews were not that impressive, visually speaking. So perhaps this reveal trailer is not indicative of the graphics quality of the final game, and Bethesda is waiting to really show off the game at the upcoming E3 show. After all, it is clear that the reveal trailer was released to prevent any embarrassing leaks before Bethesda’s big press conference on June 14. And the American games company will surely have more than one surprise in store at E3, releasing new gameplay videos and screenshots of Fallout 4 that prove the naysayers wrong. But then again, one should not judge books by their cover or games by their visuals. The Fallout games are some of the most immersive ever made, and Bethesda’s own Fallout 3 succeeded in creating a post-apocalyptic world that was a joy to explore, meeting all sorts of weird personalities along the way and discovering how the nuclear apocalypse had transformed society. It was one of the best role-playing games ever made, and here’s hoping that Fallout 4 delivers more of the same when it is released later this year.